At Chadstone, the Midas store is located on the Ground level and this is where you should be heading if you are shopping for premium quality footwear that incorporates worldwide fashion trends into simplistic, functional designs. The concept behind the Midas brand is to showcase timeless elegance in footwear that is created to match uncompromising quality standards. The designs featured in the Midas range are inspired by the stunning styles popular among the high-end fashion circles of Italy and Europe. 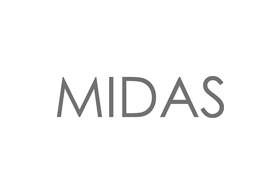 Recreating these styles faithfully at times, reinventing them to match the Australian fashion scene at others, Midas succeeds in keeping its customers more than satisfied with a never-ending collection of new, contemporary footwear. The most impressive feature of these shoes is the understated chic styling combined with the ultra rich leather which is finished to perfection, delivering the perfect balance between style and substance. All these make this store a paradise on earth for those who love to buy quality footwear that creates a definitive fashion statement. With heels, flats, boots, sandals and more in the range offered here, there is footwear to match every need and designs to match every taste.